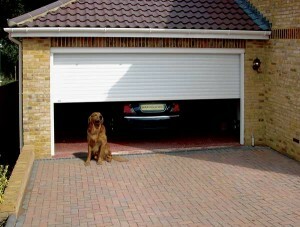 There is an advent of using of garage doors for non-home use. Establishments are choosing garage doors as part of their structures due to their price, ease of use in terms of mounting it and producing it, and the look of modernity it instantly provides a place. Places such as offices and retail stores are using garage doors as more and more designers are opting for it given the flair it gives the place. When choosing a garage door material for a store or office, use those that provide ample insulation. This helps manage electricity costs due to maximized heat and cold inside any place. Most homes enjoy lesser bills due to this one simple fact. Insulated doors may be much more expensive, but the returns are immense as these regulate the temperature in any place effectively. Compared to walls and doors, garage doors are relatively easier to maintain as there are technicians who are dedicated to this type of work. For one, garage doors do not need to be constantly painted on. Those found inside a structure are not prone to rusting or dents as they are not exposed to damaging external elements. Also, garage doors make for better and cheaper dividers to create additional rooms for public places such as libraries and restaurants without affecting the overall look of the place when using doors with aluminum and steel supports. Compared to expensive noise managing structural additions, garage doors provide the ultimate privacy for meetings and private parties with their naturally occurring soundproofing abilities that do not require high maintenance paddings and the like. Garage doors can also be moved and are more malleable in fitting into structures compared to constantly renovating expensively because of cement walls. 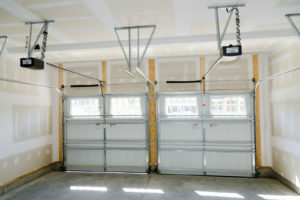 Garage doors provide better security compared to normal doors or pull down stainless doors. They are made of strong bolts and nuts that make intrusion much harder to accomplish. The garage door’s structure is also harder to penetrate as it is often made of thick material whether it is steel, aluminum and the more contemporary ones such as fiberglass or PVC. Most garage doors are also now equipped with the latest in technology such as CCTV cameras and tech-controlled lock mechanisms. This can help store owners watch over their stores offsite 24/7 without any hassle and stress. The garage doors of today can also be installed with automatic alarm systems, which can alert authorities in case of intrusions even when the owner is asleep or out of town. The quickest way to make a structure be more amazing is by the use of garage doors which makes them a favorite of interior designers. Especially for advance looking structures, garage doors provide an industrial look to any place and instantly updates it. Today, garage doors are multi-functional. More than just providing security, they can also be an essential part of the structure’s design and it can help regulate temperature. If you need advice on which garage door type to purchase for your property in Roseville, California, call Perfect Solutions Garage Door company. Sometimes, good advice bears occasional reiteration. When it comes to keeping your home safe from intruders, you can never have enough tips and tricks up your sleeve. Your garage door is the largest portal into your home so it’s vital to secure it in every way possible against those who would use it as a way to gain unlawful entry. Here are a few hints and tips to maximize the protection offered by your garage door. Some of them you will have seen before and some of them will hopefully be new to you. Feel free to take away the ones you think are most useful and be proactive in keeping would be intruders at bay. #1 Don’t let a car break-in become a home intrusion. 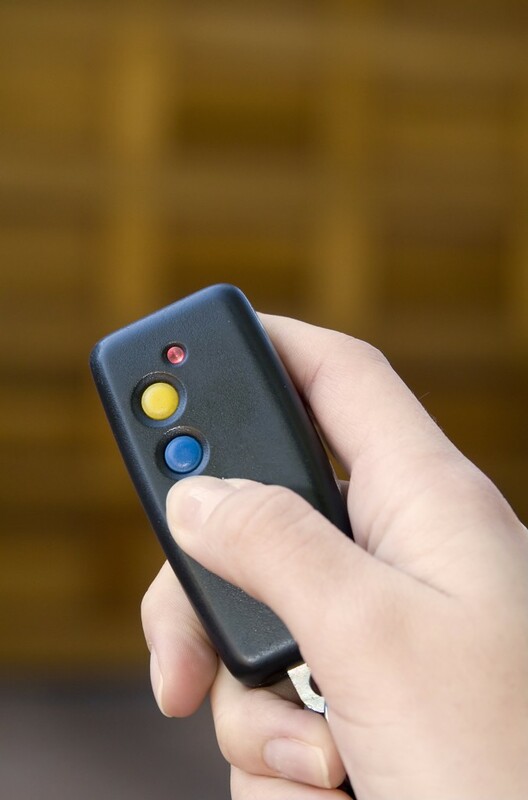 Always remove your garage door opener remote from your car and take it with you, either into your home or wherever else you are going. If thieves break into your car and find the remote, they may well use it to gain access to your garage and take away whatever you have stored in there. Worse yet, from your garage they may try to get inside the rest of your home. #2 Keep your door opener remote on your key fob or chain. This is the best way to avoid leaving the remote in your car inadvertently. If the remote control for your door opener is attached to your car keys, you be highly unlikely to leave it in your car by accident. #3 Invest in a door opener which uses rolling code technology. With rolling code protection, your door opener remote transmits a brand new code every time you press the open or close button. With more than 100 billion codes, it’s highly unlikely that even hi-tech thieves with code grabbing devices will be able to get your garage door open. #1 In case you are ever unfortunate enough to have someone break into your garage, a wide-angle peephole, installed in the internal door of your garage will let you investigate without opening the door. If you hear unusual noises coming from your garage, you can just use the peephole to see if you have any unwanted visitors. #2 If your garage door is one with windows installed, it can pay to replace clear glass with a frosted design. This prevents would be burglars from seeing what’s inside your garage. Most housebreakers are opportunists and if they can see items worth stealing, are more likely to try and force your garage door. #3 If you have an automatic door opener, the emergency manual release can be a weak point for security. This emergency release is often situated fairly close to the garage door. A cunning intruder may be able to trip the manual release by using a coat hanger, or something similar, inserted through the small gap between door and frame. To stop this from happening, secure the emergency release with a couple of cable ties. This will make it impossible for anyone to trip the mechanism from outside. Many homes are broken into daily via the garage door. If you follow the tips described here, you can greatly reduce your chances of joining the list of people whose homes have been violated. Apart from being the entrance to the place you park your vehicle, (and maybe store your tools and sports equipment as well) a garage door acts as a massive, mechanical entrance way into your home. Preventable accidents and burglaries involving garage doors happen way too often, mostly as a result of complacency. Perfect Solutions Garage Doors wants to make sure your home’s garage door doesn’t compromise your family’s safety, or present a weak point in your home security. Test your garage door opener’s reversing mechanism once a month. To do this, place an object in the path of your home’s garage door as it is closing. The door should reverse immediately upon contact. If it doesn’t do so the auto-reverse sensor is not working and needs immediate repair or replacement. The Consumer Product Safety Commission passed regulations in 1993 stating that all garage door openers must have a working auto-reverse sensor to prevent children and pets from being injured. A garage door should be examined on a monthly basis. Check for any damage to the pulleys, cables, rollers or springs. Never attempt to work on these parts yourself, or any items connected to them. The mechanisms are under extreme tension and only a certified garage door technician should attend to them. Perfect Solutions Garage Door has a team of trained technicians that can replace or repair any part of a garage door. The internal door, giving access to your home, should be kept locked. While this may seem inconvenient, the added protection for you and your family makes it well worthwhile. Children should not be allowed to play with garage door remote controls. Make sure your controller is kept out of their reach. Install sensor lights around your garage entrance to scare away intruders. Make sure you and your family know how to use the emergency release for your home’s garage door. There should be a cord hanging from the opener’s motor. Intruders can get into your home by breaking into your car and stealing the remote door controller. Don’t keep your controller in an unoccupied car. Perfect Solutions Garage Door can provide you with a keychain remote. You should never use the manufacturer’s access codes on the remote control or opener if they are not equipped with rolling-code technology. Disconnect the power supply to your home’s garage door whenever you know you will be away for a few days. Alternatively, you can have a switch installed to lock the control console when you are absent for a while. 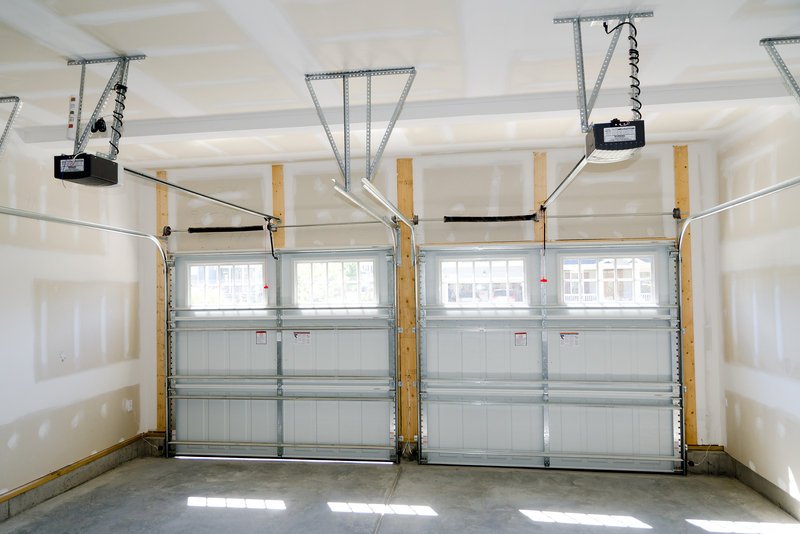 Don’t leave your home’s garage door open for lengthy periods of time, even when you are at home. Thieves will scope out neighborhoods during the day and they come back to any that look promising. If the garage door is open, you could be showing off your valuables to someone who intends stealing them. Unwanted intruders will often choose a garage door as an entry point for mischief and mayhem because it is more discreet than the front door and more accessible than a back door. Garage doors also make it easier to sneak inside the house unnoticed, especially since most people fail to lock the door connecting the garage to the house. Perfect Solutions Garage Door wants to help our customers stay safe and secure, which is why we are positing these five essential tips for better garage door security. It may take away from the convenience factor for your family, since they will need to unlock the door to get inside and out, but it will also make the entryway less convenient for an intruder. You can hang up a key to that particular door on the inside of the house, so your family can bring it with them if they plan on traveling in and out of the house through the garage door. For greater security, you should have an alarm on both the garage door and the interior door to your home. Hopefully you already keep the garage door shut when you are not home or sleeping, but you should also keep it shut when you are doing work around the house, even if you are outside. An open garage is an advertisement to thieves of what you have inside that they might want to take. They could drive by during the day and see your fancy car, expensive toys, and high-tech equipment and then decide that it is worth a return visit when you’re not home to protect your belongings. Perfect Solutions Garage Door encourages all of our customers to purchase spotlighting and an interior lighting system. Intruders prefer to work in the dark, and security lighting will make it difficult for them to do their dirty work. Today’s modern garage door openers have incredible new security features that thieves haven’t figured out how to crack, like rolling code entry systems. It may be worth it to get an upgrade if your system is more than five years old. Most modern garage door openers will come with a remote control access feature that can be hooked onto your keychain. This is much safer than the older version that hung from your car’s visor. You should protect your garage door remote the same way you protect your house key. Perfect Solutions Garage Door can help with the installation of a new garage door opener or any other garage door security features that will help make you and your family feel more protected.